The U.S. Embassy is concerned about reports of violence in Zimbabwe and urges all parties to exercise restraint and to make every effort to find a peaceful solution. 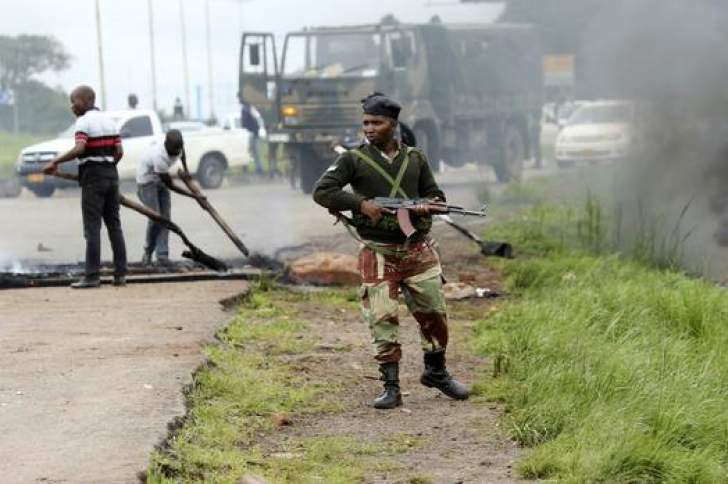 We condemn any disproportionate use of force and call on Zimbabwe's security forces to respond to civil unrest professionally and with respect for human life and constitutional rights. We are also alarmed by credible reports that security forces are targeting and beating political activists and labor leaders. The United States strongly supports freedom of expression, freedom of association, and peaceful assembly. People have the constitutional right to protest and express their views peacefully. We condemn acts of arson and looting and threats against citizens. We call on protesters to refrain from violence and threats of violence, which will only cause further economic hardship. We are concerned by the Zimbabwean government's blocking of Internet services in the country January 15-16 and urge the restoration of access to social media sites and applications. We call on the Zimbabwean government to respect its constitutional and international legal obligations regarding the right to freedom of expression.